We have released our guide for farming reputation with the Klaxxi. We realize it comes a little late, but we did not want all the notes we took during the Mists of Pandaria beta to go to waste. 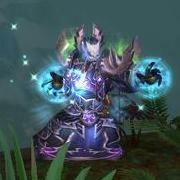 We originally planned to release guides for the Order of the Cloud Serpent and the Lorewalkers, but we feel that, at this stage, our time will be better invested if we work on videos for the Brawler's Guild. This thread is for comments about our reputation farming guide for the Hand of the Prophet. This thread is for comments about our reputation farming guide for the Vol'jin's Headhunters. This thread is for comments about our reputation farming guide for the Order of the Awakened. This thread is for comments about our reputation farming guide for The Saberstalkers.